Old Court House Dental Practice is well established and progressive, holding a reputation for providing high-quality care that is focused on our patients’ best interests. Passionate about building good relationships, we want you to feel genuinely valued and welcomed in our practice. We are proud to say that the majority of our patients have come to us through personal recommendations from our existing clients, which we encourage. When you are searching for a dental practice that you can trust to always put your dental needs first, look no further than our Old Court House Dental Practice. 277 High Street became known as The Old Court House when the new courthouse was built behind the council offices at Pippbrook in the 1980s. The police lantern has been retained outside the front door. It was a structural surveyor’s office for many years before being redeveloped and refurbished to offer a better service as a modern, family-orientated dental practice by David Rickard in August 2006. Over the years, the practice has grown from just 1 surgery in Cape Place then at The Chine to now 3 surgeries with a modern and friendly ambience and air conditioning. We always want to provide a stable base for our patients to enjoy a long-term relationship with their dentist as well as continuity of care. Our complete service includes implants and minor oral surgery services along with sedation methods for anxious patients. Old Court House Dental Practice was one of the first practices nationally to achieve the BDA Good Practice Award in 2003 and are currently accredited by BUPA™. We are committed to quality standards as set by the BDA (British Dental Association™). Q. How Can I Pay for the Services at Old Court House Dental Practice? A. Payments are acceptable by switch (Maestro), credit card, personal cheque, cash, or direct debit. Payment is appreciated at the end of each visit (before leaving) for the care provided that day. If you are unsure whether there is a charge, please ask at reception before going into the surgery. Usually, a written estimate can be produced within moments for a series of visits, including invoices and receipts for any payments made. Payment by invoice can be arranged with your dentist’s prior consent, once you are an established, creditworthy patient of the practice. Payment of such invoices is due within 10 days. Q. What is Your Emergency Criteria? A. Generally, during working hours, emergency patients will be seen by a dentist the same day. Provision is made in the appointment books for emergency appointments daily. The Old Court House Dental Practice receptionist will need to know: what is the severity of the pain? Does it respond to pain killers? Is there any bleeding, swelling, sharp-edge cutting of the tongue/cheek, or a missing front tooth? The out-of-hour emergency service is open to registered patients of the practice, their family, or a visiting relative or close friend. Anyone phoning the service will be offered advice. The dentist reserves the right to request that treatment is provided during normal working hours. Q. Do You Have a Cancellation or Failure to Attend Policy? A. To keep our prices to a reasonable level, it is necessary for the fixed running cost of the practice to be met. 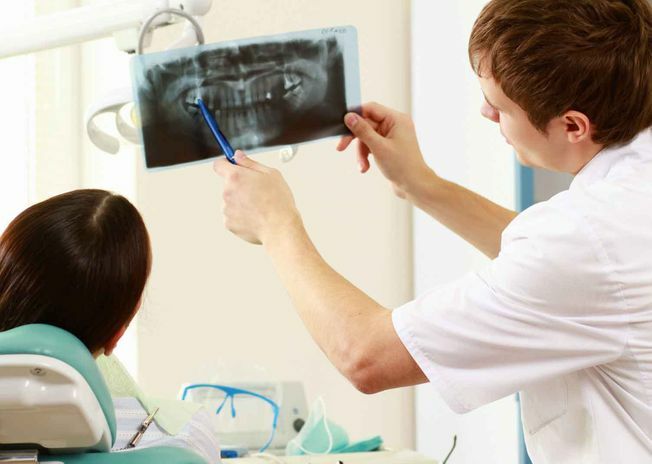 This requires the dental surgeons and their surgeries to run to maximum efficiency. For these reasons, we have a non-attendance policy as well as a short-notice cancellations policy in place. This is for patients who fail to attend, or cancel their appointment with the dentist without giving 24 hours’ notice. We now request patients give 48 hours’ notice to change a dental hygienist appointment, to allow us time to offer the appointment to another patient. We view hygienist work as very important in the prevention of dental disease. As with both our dentists and hygienists, all efforts will be made to fill the appointment time with another patient so the cancellation fee can be waived. This cannot, however, be guaranteed or relied on. We therefore reserve the right to charge £40 for every 15 minutes of unfilled appointment time. All charges will be made on instruction from and at the discretion of your dentist. Contact our team at OCH Dental in Dorking, Surrey, to see why we are the right choice for dentistry.